If you’ve been searching for a quick knitting or crochet project, I’ve got a wonderful collection for you. 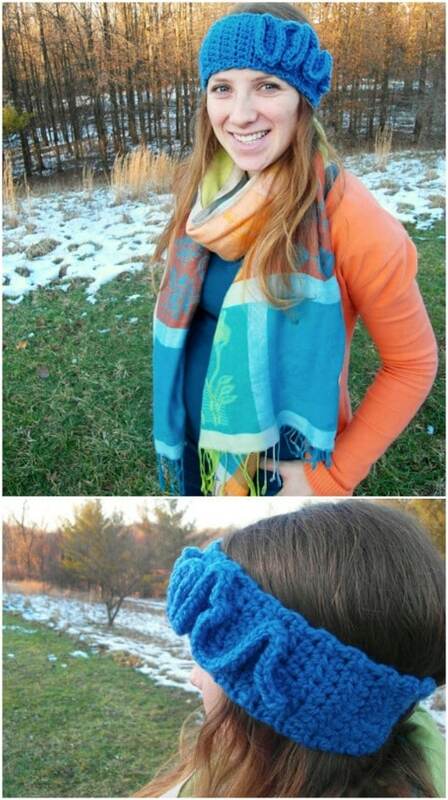 I found 30 easy headband patterns that you can knit or crochet in just a few hours. If you live where it gets pretty cold during the winter months, you know that a good knit headband can be your best friend. Not only do they help to keep your hair out of the way – and quite stylishly I might add – they can also be great for keeping your ears warm during those blistery winter days. 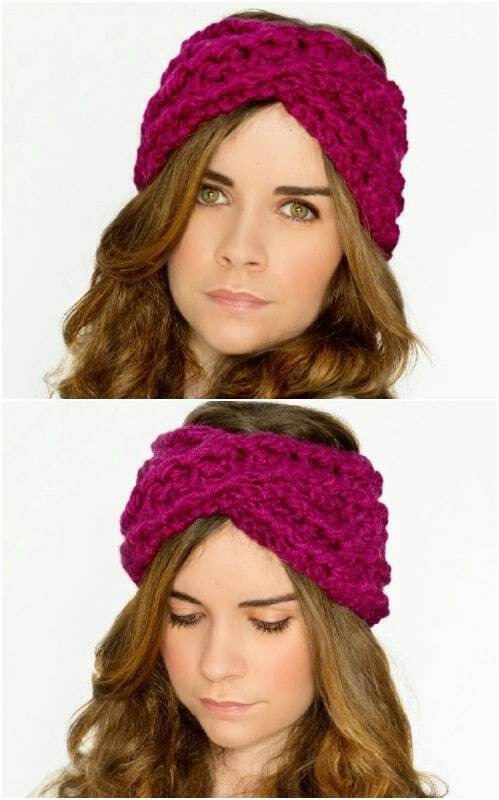 Crochet or knit headbands are great for adding just a bit of style. They’re also perfect for giving as gifts to any little girl or grown woman that you know. These are all so easy, and many of them take very little yarn, so you can make several and give them to your family and friends. You’ll also want to check out these 100 crochet and knitting patterns that are perfect for beginners. Many of them also have something that would make the perfect gift. Now back to the headband collection, these are all so easy and they’re perfect for when you want to stay warm but don’t really want to wear a bulky winter hat. Headbands are also perfect for when you’ve spent hours doing your hair and just really don’t want to put on a hat and mess it up. Nobody likes hat hair. 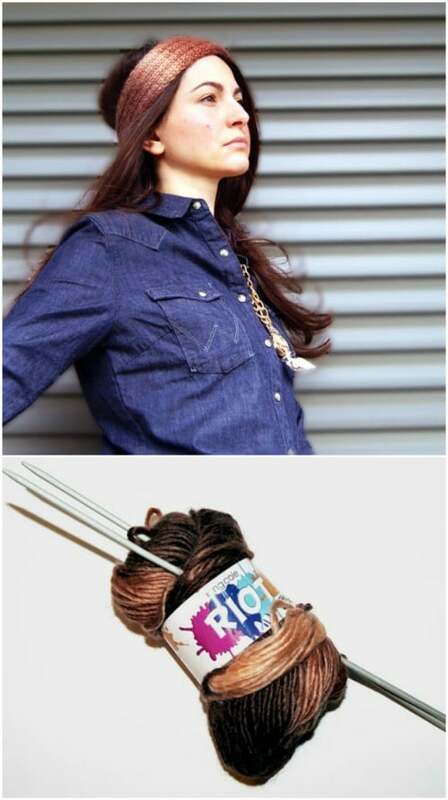 You can keep that hair stylish with a DIY headband. 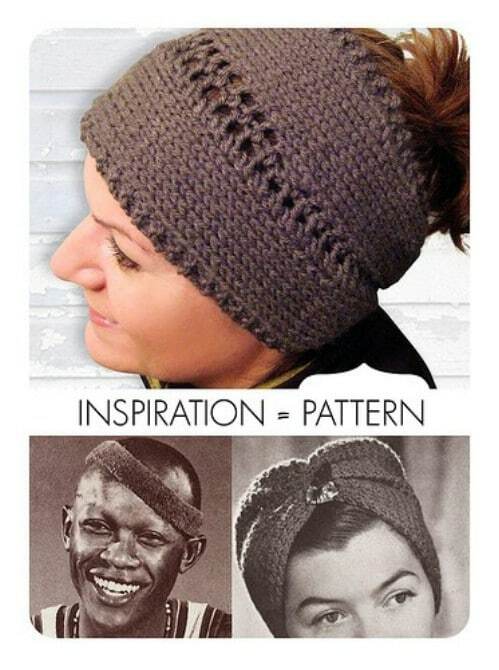 Oh and nothing quite says stylish like these beautiful crocheted hats. 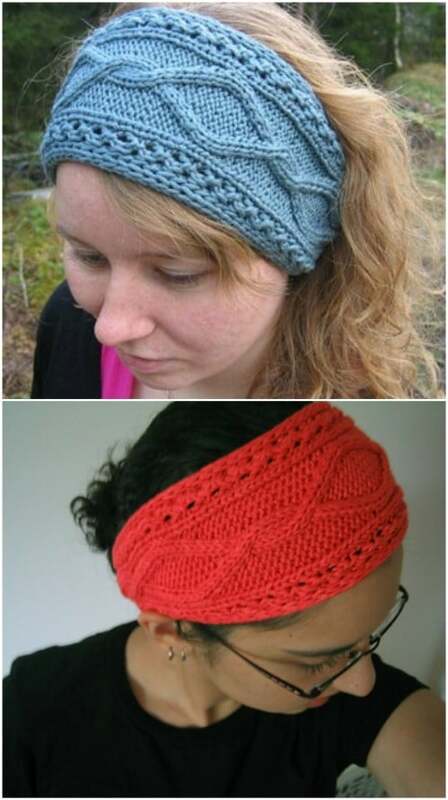 If you love headbands and you love to crochet or knit, this is definitely the collection for you. Obviously you can use any color of yarn for any of these headbands. The weight of the yarn that you need is provided in each of the patterns, and you can easily adjust the sizing of most of these to fit babies, little girls, or grown ladies. From thin headbands that are mostly for accessorizing to heavier and wider headbands that will keep your head and ears nice and toasty, there is a headband that you can make that’s perfect for any outfit, any weather, and any occasion. 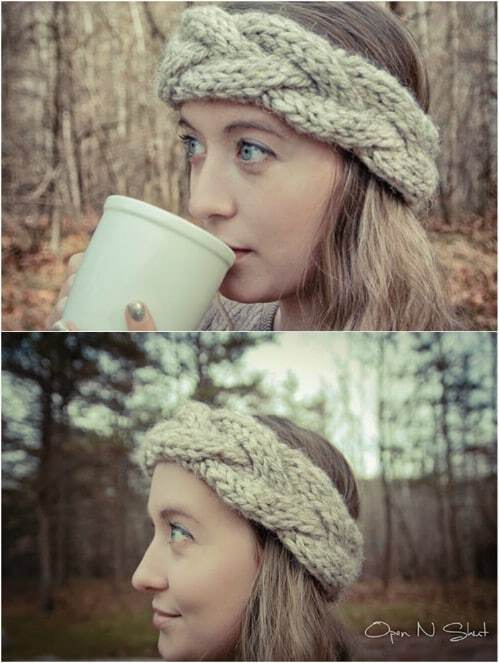 This bulky cable knit headband is the perfect cold weather accessory. You use a heavy weight yarn and it’s a really easy pattern, and the perfect way to practice your cable knit. The pattern begins with a provisional cast on and finishes with a three needle bind off. You can also just sew the ending seams together if you prefer. It looks much more complicated than it is to make and is a beautiful piece when finished. 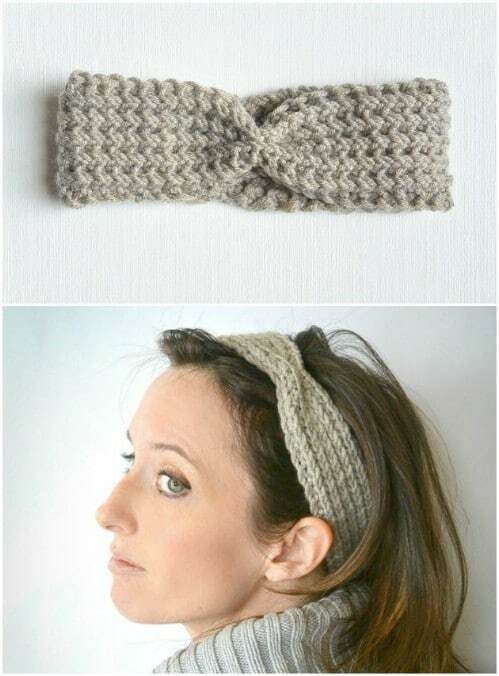 This lovely crocheted headband features a huge bow and is a really easy pattern. 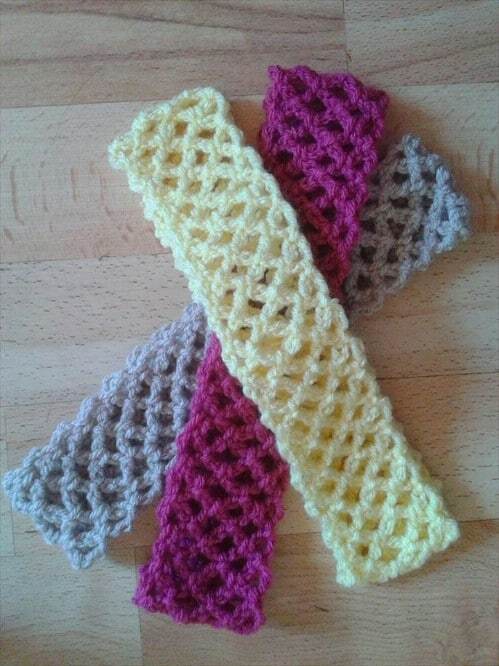 You work it in three pieces, the headband, the bow, and the middle section, all of which are worked in a single crochet. You could easily turn this one out in about an hour even if you don’t have much practice with crochet, and it’s really stylish. Do these in different colors for different outfits or make them as gifts. 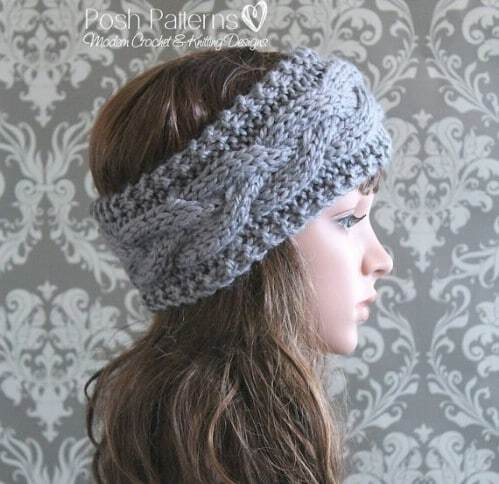 I love the look of this crisscross crocheted headband. The buttons are a great addition and it even has a fashionable matching cuff. 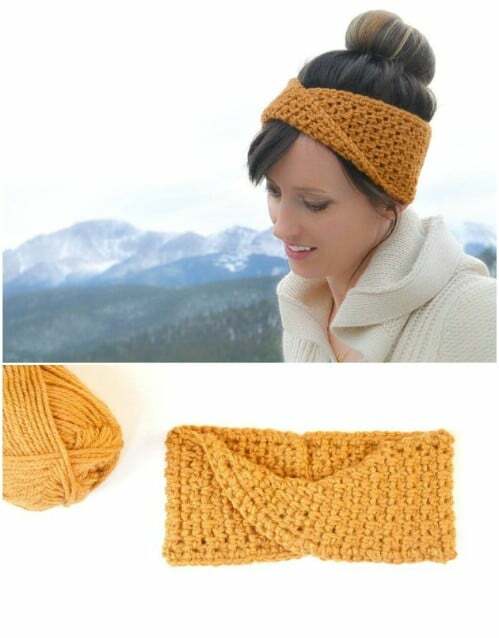 This is such a simple pattern and it’s a great gift idea if you know someone who would love a hand crocheted headband. I would do this one in many different colors so that I have one for every outfit and I just can’t get over how adorable those buttons look! Here’s another one with a name – I just love those. This one can be made easily in an hour or two depending on your skill level and has these wonderful ruffles. If you need practice with knitting ruffles, this is the perfect pattern. It’s pretty thick so you can definitely keep your head and ears warm with this one, and it doubles as a neck warmer. Just slide it down over your neck and you have a beautifully knitted cowl. This knotted look is very popular on headbands today. I love the simplicity of the pattern and it’s a relatively lightweight headband – depending of course on your choice of yarn. You’ll finish six rows of double crochets for the headband portion and then make the knot section. Honestly, this one is so quick and easy, you could definitely finish this in one setting and it shouldn’t take more than an hour or so depending on your skill level. 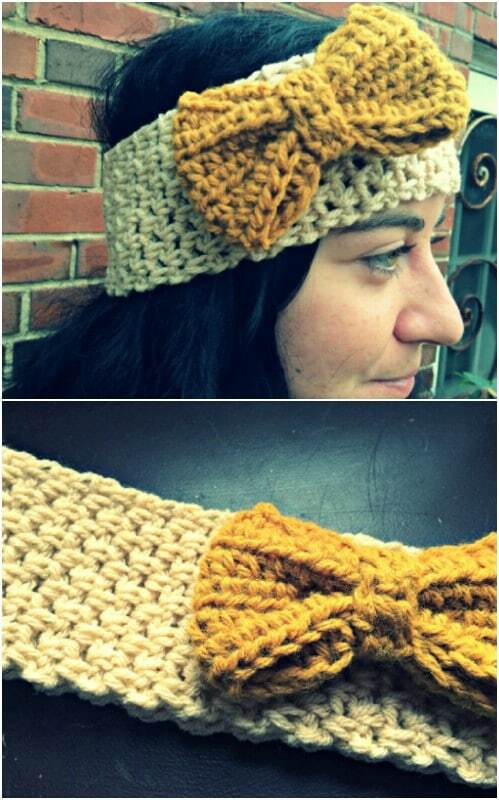 Here’s another take on a crocheted headband with a bow. On this one, the bow is a separate piece, and it’s just as easy to make as the headband piece. Both together shouldn’t take you much longer than an hour even if you’ve never crocheted before. You can use any worsted weight yarn for this one and I love the idea of crocheting the bow in a contrasting color than the actual headband piece. This pattern looks so easy that I don’t doubt this one lives up to its name. It’s called the easiest head wrap ever and I believe it. It’s also gorgeous with its really large flower and you can easily finish this one in an hour or so, even if this is your first crocheting project ever. You can use any worsted weight yarn for this one and it looks like it would be really easy to adjust the pattern for different sizes – in case you want to make an infant or toddler’s size. This crisscross pattern is a bit different than the other. It’s a super bulky headband that would be perfect for those really cold days when you need to keep your head and ears warm. It’s also a really stylish look and can easily be made in just an hour or so. The crisscross design is gorgeous and really simple to do. 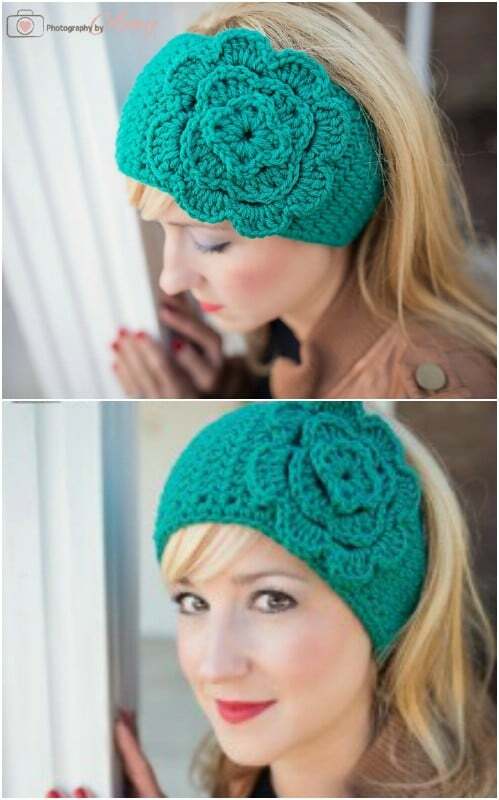 This is a great piece to practice on if this is your first time crocheting and it’s a headband that would make a wonderful gift. This beautiful pattern is available on Etsy for around $5 and it’ absolutely gorgeous. These little floret headbands are perfect for little ones, or you can make them longer for yourself. It’s a quick pattern because it uses bulky weight yarn, so you’ll have it completed in no time. If you want a beautiful flowery headband that you can have done in about an hour or less, this one is perfect. 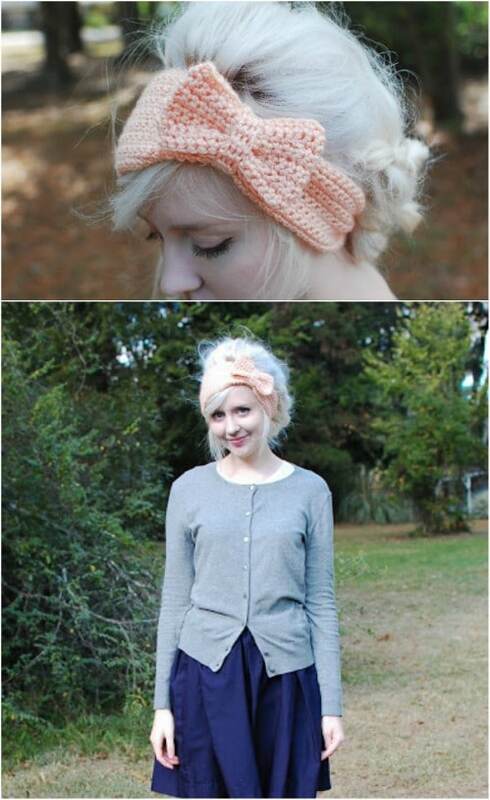 This headband is easily knitted and has a gorgeous lace look center. It’s also convertible and can be turned into a neck warmer by just moving it down. I love the thickness although you could probably use a lighter weighted yarn if you want the look without the weight. You can practice your purl stitches with this one which is great if you’re a beginning knitter and haven’t worked with purl stitches much. I love the snake design on this crocheted headband. This is a really cute and super easy headband to make, even for beginners. It gives you two options for joining, with a button and without. Personally, I love the button but you could do it just as easily without if you want one piece that just slides onto your head. I really adore the bulky look of the snake design. This is the perfect pattern if you need a gift for a teenager or pre-teen. Okay, I’ll admit I love this one because of the name, but the headband itself is really gorgeous, too. The pattern gives you the option to make the wide version or a slimmer one, both of which are really pretty. The design itself looks complicated but it’s a simple pattern that you can finish in just one evening. The narrow version takes about 40 yards of yarn while the bulkier version takes around 80 yards. Both are easy to make – make both versions and have one for every occasion. I really love when these patterns have specific names. This one is called Bamboozled and it’s a wonderfully easy pattern for advanced beginners. It allows you to practice your cabled knit and has twisted cord ties throughout. It’s actually a really fast project and you need less than 100 yards of yarn to make it. You can do the cabling without a cable needle if you want, which makes it even easier. 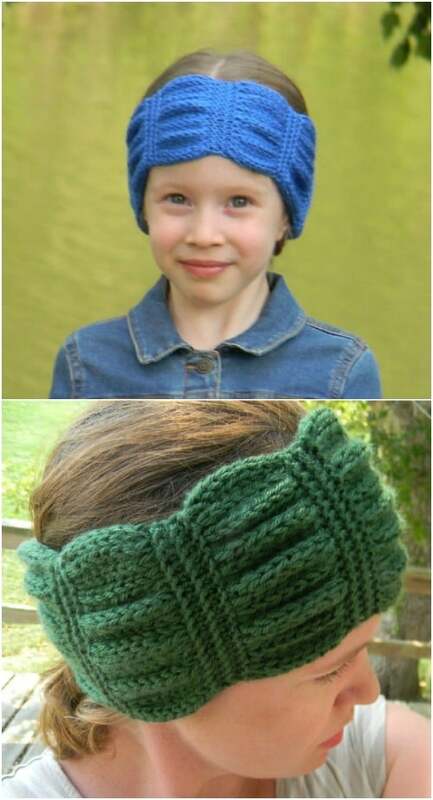 This lovely headband can easily be knitted for babies, toddlers, teenagers, or adults. The pattern is easy to follow and easy to adjust to whatever size you need. I love a good cable knit and this one is really easy. You get to practice the cable knit and a few other stitches and you can probably turn this one out in about an hour or so depending on how long you’ve been knitting. You use chunky weighted yarn which makes it the perfect winter accessory. This is a really fast and easy knitted headband that will take you less than an hour if you’ve ever knitted before. You can probably have it finished in just over an hour if this is your first knitting project ever. It’s a fairly narrow headband which helps with the short time and you can use any worsted weight yarn you want. I love these for fashion pieces – just use lightweight yarn and make them in any color you need to complement your favorite outfit. 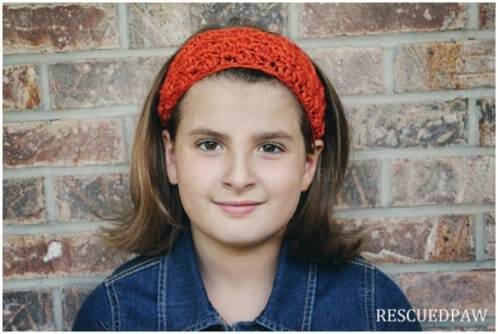 These little crocheted headbands are so easy that you could probably do a couple in an hour. They have that great open lace trellis look and they’re a narrow headband so they’re perfect for warmer days – when you just want something stylish but not necessarily to keep your head and ears warm. The pattern is also really easy to customize so you could play around with this one and see what unique headband you can create. So, this one gets its name from the yarn that was used to make it. The yarn is latte colored, and oh my goodness what a gorgeous group of colors! The pattern itself is really easy and if you love coffee- as many of us do – this is a must crochet for you. 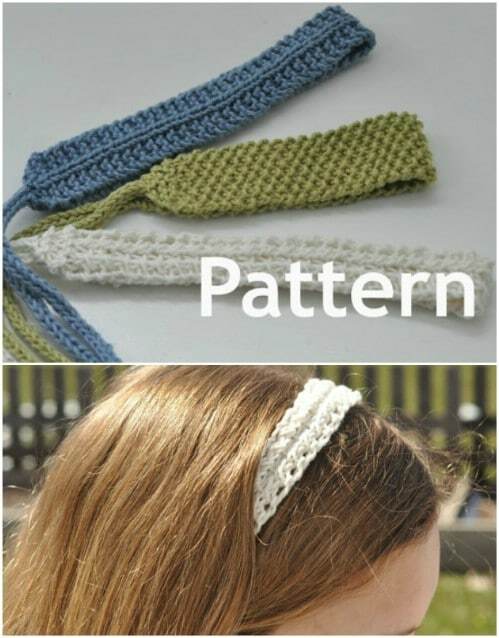 It’s listed as easy for beginners so if you are looking for a great thin headband pattern for your first project, this just may be it. 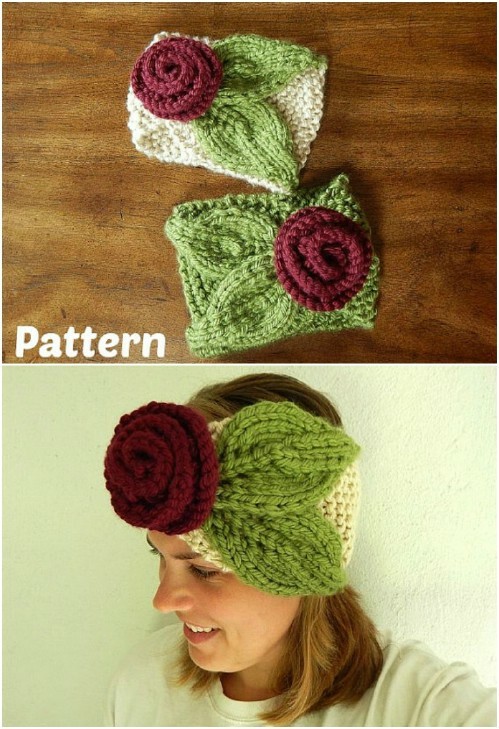 Aside from the gorgeous coloring, the headband itself is really pretty and so easy to make. Here is another great tie on headband. These are really fast to work up and they let you practice on a number of stitches. You need to know how to cast on and you’ll need to know your basic stitch, as well your binding and purl stitch and knitting i-cord. These can be knit in cotton or linen for spring and summer or a thicker wool for winter. The patterns come in child and adult sizes. 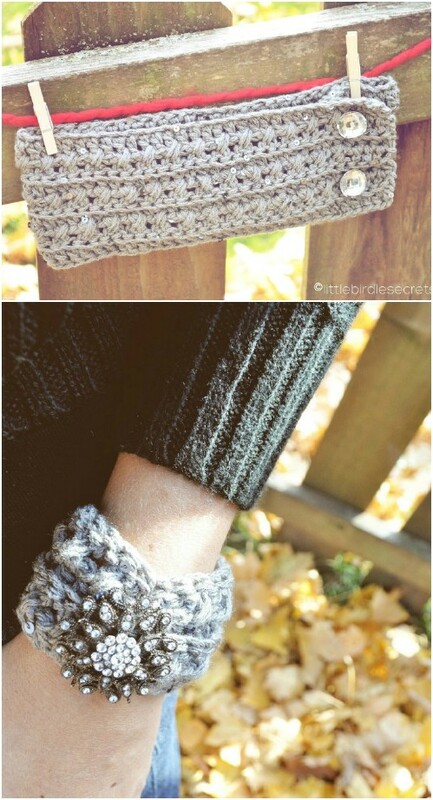 beautiful piece when it’s finished and such an easy crocheting project. It shouldn’t take you more than an hour or so to complete. These braided headbands are perfect for little girls and they’re very easy to crochet. You make three small strips and then just braid the strips together. You can do these in a single color or make them really bright and do each section a different color. You can lengthen the pattern as well if you need something a bit larger. One of these, counting all three sections, will probably take you less than an hour. Great one if you are relatively new and need some practice. You can also lengthen or shorten the headband easily depending on the size that you need. There are also frogs, piggy’s, and other cute animal headbands that you can create. 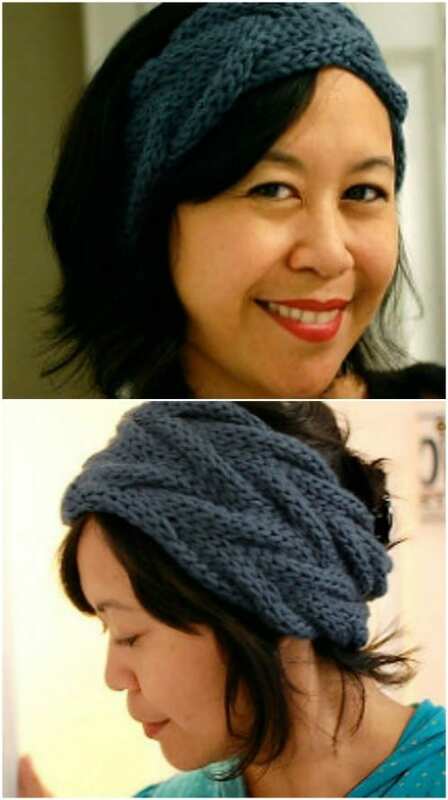 This headband gives you a wonderful opportunity to learn the half fisherman rib stitch. It’s relatively easily and the stitch looks like those cute thermal shirts that you can buy at outdoor adventure stores. It’s a bit easier than the fisherman rib stitch and if you have mastered the basic knit and purl stitches, this one should be a breeze. You’ll have a blast making it and once it’s finished you’ll have this cute narrow headband that’s perfect for any occasion. This zig zag pattern is great and it’s really easy to work up. I love the detail, especially for a headband that you can have done in less than an hour. The stockinet cable tacks across your garter stitch and it’s worked back and forth in rows and then joined with a three needle bind off. 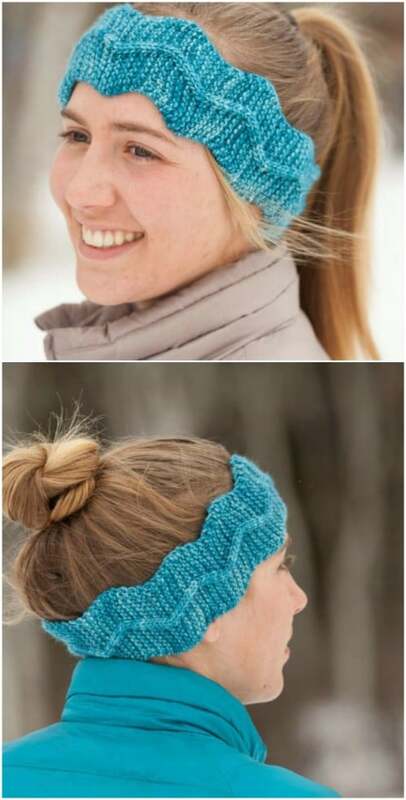 This is a really great pattern if you need practice in something other than basic knit and purl stitches and it creates a really unique looking headband. This cute sparkly crochet headband is the perfect weight for summer. It’s an easy pattern that will honestly probably take you less than an hour to complete. Adjust the length to make it perfect for little girls or grown women. The light weight is perfect for warmer months, although you could use a heavier weighted yarn if you want something a bit warmer for fall or winter. 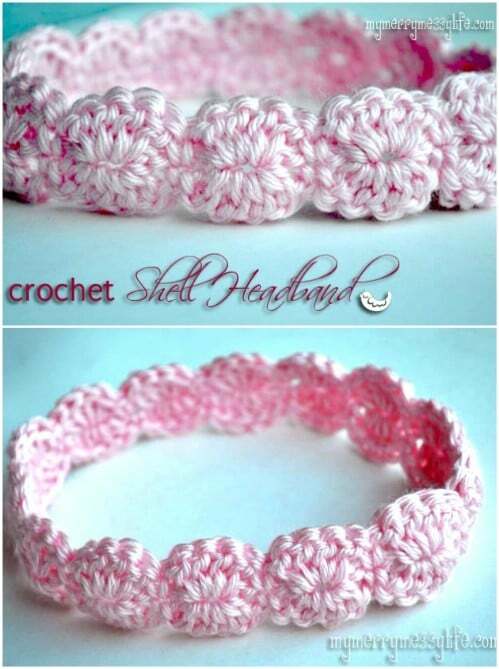 This little headband is so gorgeous and so very easy to crochet. It’s perfect for little ones or you could make it long enough for yourself. The shell stitches are absolutely beautiful and much easier to make than you may think. This really looks like a flower crown and you can do as many different colors as you can stand. You’ll have this one completed in just a couple of hours, unless you’re a master at the shell stitch and then you can have it done in a snap. Aside from the gorgeous coloring of this one, and you can of course use any color you want, the entire headband is beautiful. It’s a peacock knit and if you’re looking for something a bit more formal than casual, this is a great headband. The pattern is really easy and you can probably finish this one is a couple of hours even if you’re new to knitting. It’s relatively thick but you could use a lighter weight yarn if you want something that’s less seasonal. 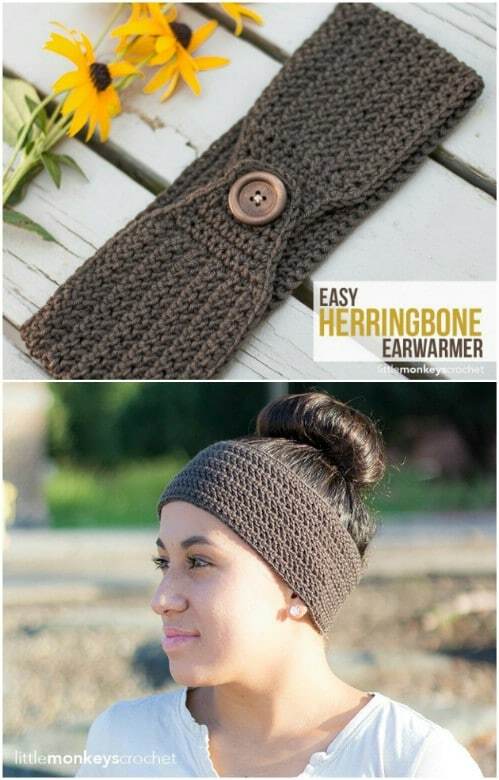 This headband doubles as an ear warmer, as most do, and it’s a wonderfully thick headband that is sure to keep you warmer in winter. It’s also a really easy pattern. It’s a bit larger than many ear warmer headband patterns too so it will really keep those ears warm. This one uses the herringbone stitch. If you haven’t done that one, this is perfect for practicing. It honestly is a simple pattern and it’s perfect for beginners. 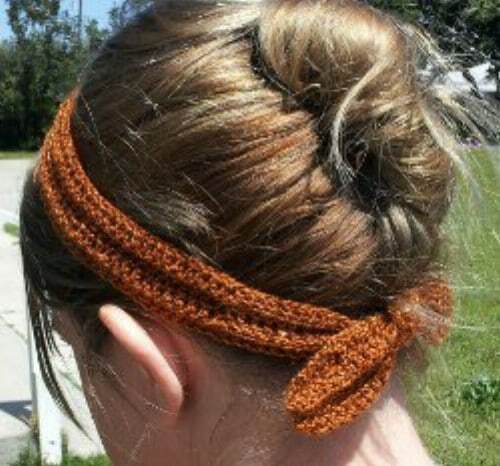 The colors used in this fall colors headband are absolutely gorgeous. Of course, you can use whatever colors you want to make it perfect for any season. This is a really simple pattern that you’ll work up quickly. It’s a tie together headband which makes it much faster to finish off. It’s relatively narrow too, which also helps save on time, although you could do it wider if you wanted. This Fair Isle headband is a beautiful design and uses sport weight wool. It’s a two color stranding that gives you great practice working with two colors. You’ll knit with one color in each hand. If you haven’t done multiple colors before, this is a great headband for you to practice on. It’s plenty warm for those cold winter days and you can combine some beautiful coloring in this one to make it unique.